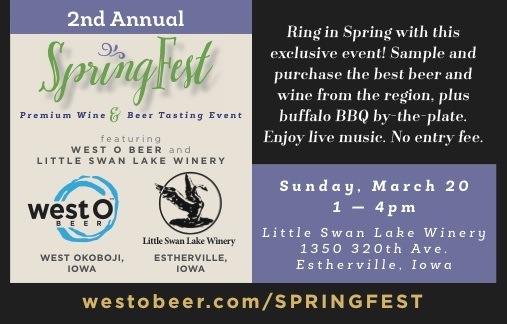 It’s an exclusive…we are pairing with Little Swan Lake Winery again to give you a tasting event to remember. Join us at the winery in Estherville to sample wine, beer, BBQ, and music. And no entry fee, because this isn’t your typical beerfest.